Broughton (also known as Toodwick, an anglicized version of his Aboriginal name) was an Aboriginal man from the lower Shoalhaven River in the vicinity of Coolangatta Mountain, or Cullunghutti as it was originally recorded. Born in the late 18th century, he worked as a young man for Charles Throsby of Liverpool and later as a guide for John Oxley. On the recommendation of Throsby, Broughton was engaged by Alexander Berry in 1822 at his extensive land grant near the mouth of the Shoalhaven River which he owned with his business partner Edward Wollstonecraft. Broughton accepted the opportunity to return to his traditional country.Michael Bennett 2003, For a Labourer Worthy of His Hire: Aboriginal Economic Responses to Colonisation in the Illawarra and Shoalhaven, 1770-1900, unpublished PhD thesis, University of Canberra; Keith Campbell, ‘Broughton (1798–1850)’, Australian Dictionary of Biography, National Centre of Biography, Australian National University, http://adb.anu.edu.au/biography/broughton-12820/text23143, published first in hardcopy 2005, accessed online 7 February 2019. Broughton was important to Berry in various ways. He acted as a cultural broker for Berry who was attempting to establish his pastoral and agricultural enterprise on land taken from Traditional Owners. Convicts were Berry’s main source of labour, although he relied heavily on Aboriginal workers to tend animals and harvest crops. It is likely that Broughton assisted with the recruitment of Aboriginal workers. He also helped to build Berry’s homestead, although he was ridiculed by his relatives for doing the work of convicts. Sometimes, he used his knowledge of the land to deliver messages, travelling as far as Pennant Hills in Sydney’s north where Berry had another land grant.Michael Bennett 2003, For a Labourer Worthy of His Hire: Aboriginal Economic Responses to Colonisation in the Illawarra and Shoalhaven, 1770-1900, unpublished PhD thesis, University of Canberra; Ralph Hawkins 1994, The Convict Timber Getters of Pennant Hills, Hornsby Shire Historical Society. Berry also made use of Broughton’s tracking skills, particularly in the recapturing of escaped convicts. He awarded Broughton a brass breastplate with the inscription of “Constable”. Controversially, Broughton was asked to pursue another Aboriginal man named Brogher (either his brother or close relative) who was wanted for the murder of a timber cutter. Broughton led the authorities astray, although Brogher was later captured and executed. 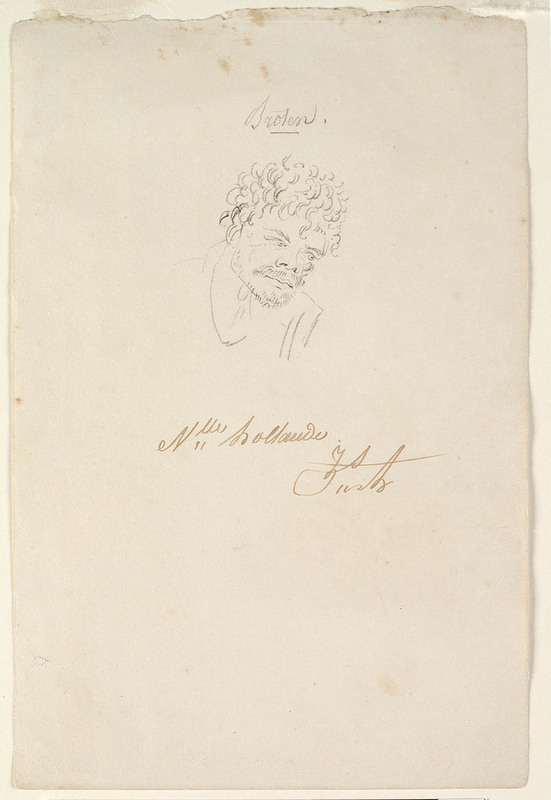 The case exemplifies the fine line that Broughton had to walk between two cultures.Keith Campbell, ‘Broughton (1798–1850)’, Australian Dictionary of Biography, National Centre of Biography, Australian National University, http://adb.anu.edu.au/biography/broughton-12820/text23143, published first in hardcopy 2005, accessed online 7 February 2019. 1. ↑ Michael Bennett 2003, For a Labourer Worthy of His Hire: Aboriginal Economic Responses to Colonisation in the Illawarra and Shoalhaven, 1770-1900, unpublished PhD thesis, University of Canberra; Keith Campbell, ‘Broughton (1798–1850)’, Australian Dictionary of Biography, National Centre of Biography, Australian National University, http://adb.anu.edu.au/biography/broughton-12820/text23143, published first in hardcopy 2005, accessed online 7 February 2019. 2. ↑ Michael Bennett 2003, For a Labourer Worthy of His Hire: Aboriginal Economic Responses to Colonisation in the Illawarra and Shoalhaven, 1770-1900, unpublished PhD thesis, University of Canberra; Ralph Hawkins 1994, The Convict Timber Getters of Pennant Hills, Hornsby Shire Historical Society. 3. ↑ Keith Campbell, ‘Broughton (1798–1850)’, Australian Dictionary of Biography, National Centre of Biography, Australian National University, http://adb.anu.edu.au/biography/broughton-12820/text23143, published first in hardcopy 2005, accessed online 7 February 2019.